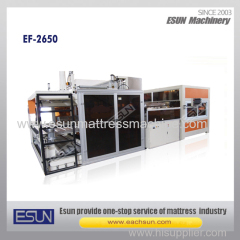 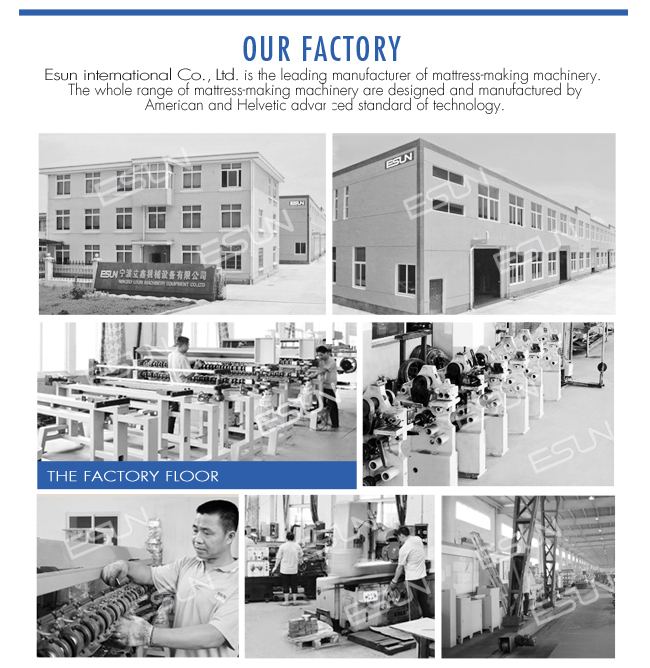 EF-2650 full automatic mattress film packaging machine is new developed by ESUN company, machine is used for automatic film packing and sealing (without compression) for multi kinds of mattress. 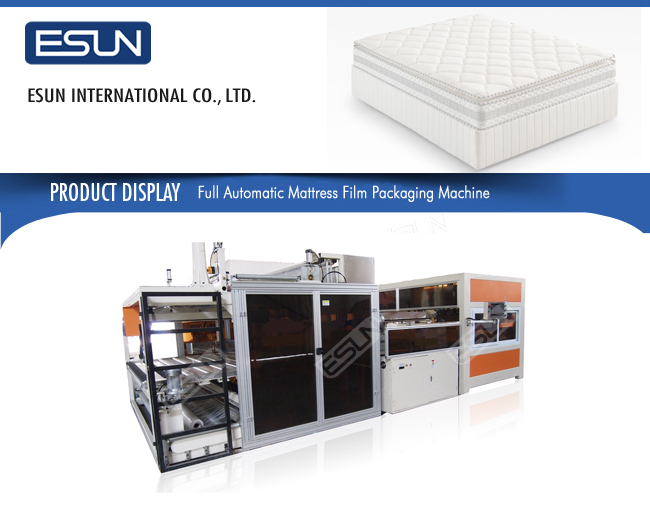 The whole packaging production process is full automatic control, very high efficiency, the production speed can reach to 2 packaging in 1 minute. 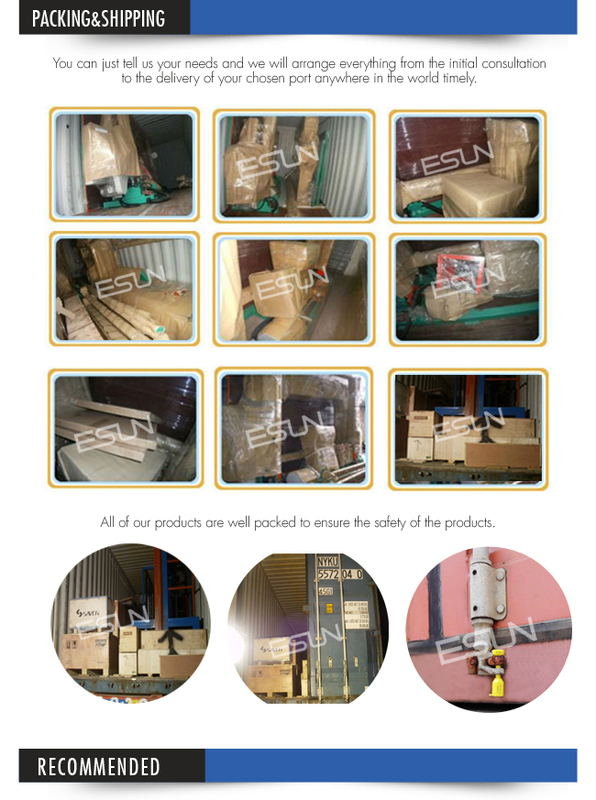 It is very easy for operation, reduce a lot of labor cost, improved the packaging quality, insure the consistency and stability for each batch. The equipment very fit to production line work, it is necessary auxiliary equipment for high level mattress manufacturer.